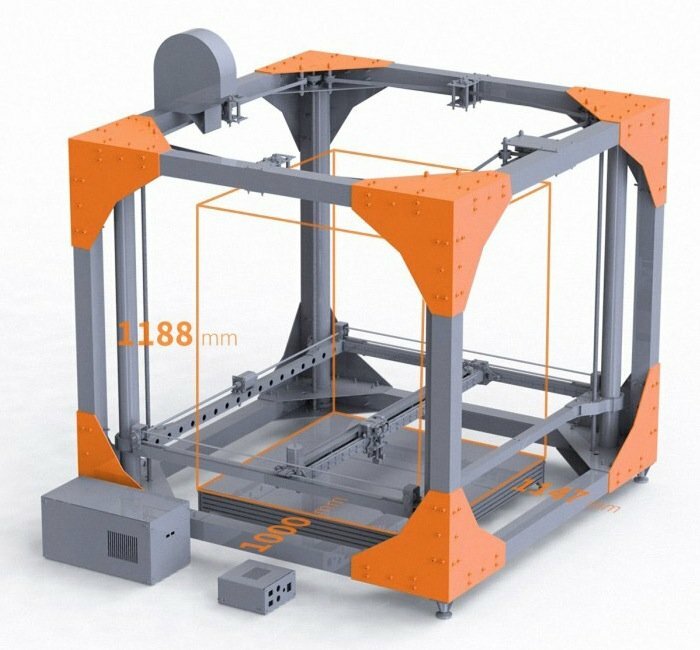 Anyone in the market for a 3D printer that is capable of printing large scale 3D prints might be interested in the new BigRep ONE 3D printer which is capable of printing objects up to 1147 x 1000 x 1188 mm in size or 1.3 m³ working volume. The BigRep ONE 3D printer is capable of printing at a resolution of 100 micron (1 mm) and is equipped with 2 heads which are capable of printing a wide variety of materials including PLA, ABS, PVA, HDPE, PC, Nylon, TPE, Laywood and Laybrick. The BigRep ONE 3D printer has been specifically designed for professionals who are seeking a cost-effective and high-performance 3D printing solution for their creations. With the ability to print full-scale 1:1 3D prints when required. Watch the video below to learn more about the printing specifications of the new BigRep ONE 3D printer. The BigRep ONE 3D printer currently has a suggested retail price of $39,000 plus tax, however the company suggests that you contact them directly for an individual quote to meet your requirements. Shipping of the new BigRep ONE 3D printer will start during April – May of this year. For more information on the new BigRep ONE 3D printer jump over to the BigRep website for details.